One can embrace local history and culture while traveling in different ways. 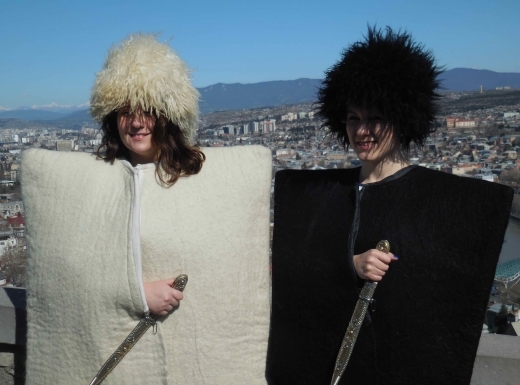 While in Tbilisi, Georgia, I spotted two tourists who did so by donning traditional costumes. They were beaming. I stopped to feel their moment of joy. I smiled, we exchanged names and permission to take a photo was granted through eye contact. This was a heart felt happiness toss. In what situations do you stop to be a part of the joy of fellow tourists as you travel? 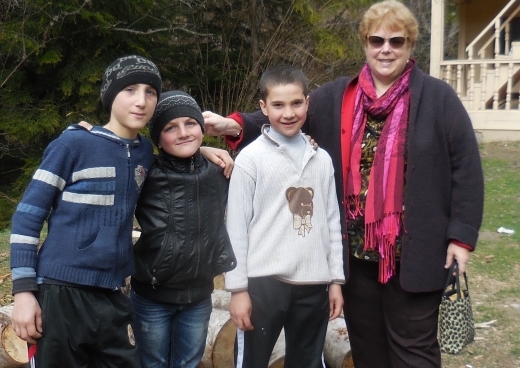 In the forest, I crossed paths with three confident and determined looking boys. As I offered them a piece of hard candy, I noticed one of them chewing. I upped the ante and handed over a pack of gum. As we posed for a photo, I was curious about the knife that one of them set down on a tree trunk. On that day the boys were foraging the woods for raw material for candy making. They were scraping tree sap to use for making chewing gum. 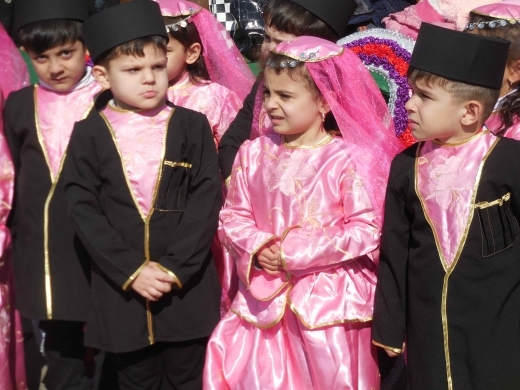 Celebrated through March, Novruz is an ancient national holiday meaning “New Day” in Azerbaijan. Where’s Azerbaijan? It’s a country located between Russia, Georgia, Armenia, Turkey, Iran and the Caspian Sea. While traveling on my own, recruiting others to take a photo with me is easy. Getting people to “dress up” in costume with me is not. 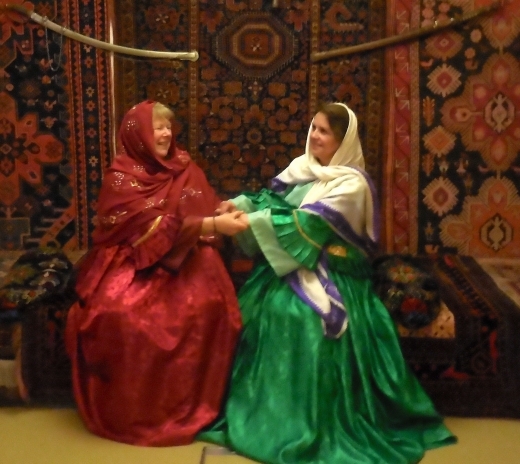 While visiting Baku, Azerbaijan I learned about a historical photo opportunity to don an outfit typically worn by Azerbaijan nobility.